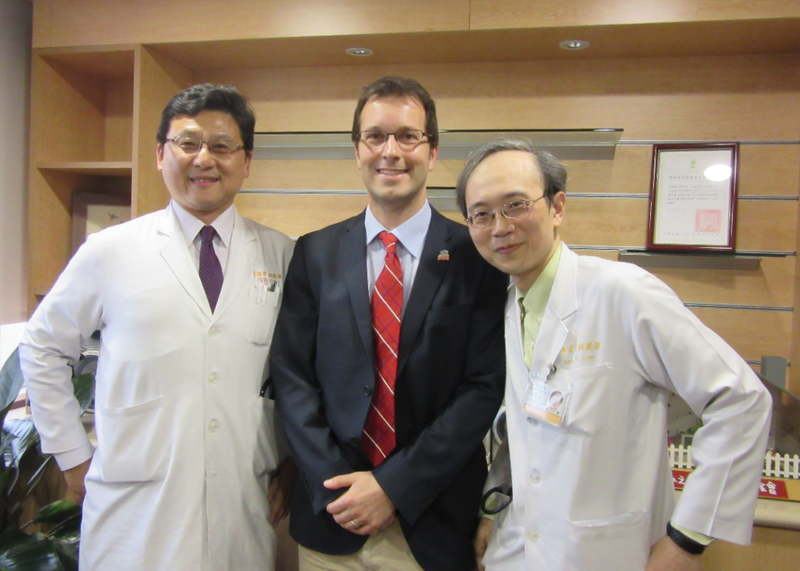 It was with great pleasure that IPOPI’s Executive Director, Johan Prevot visited Chang Gung Memorial Hospital in Linkuo, Taiwan where he met with Professor Wen-I Lee, Attending Physician and Associate Professor at Chang Gung Children’s Hospital and Professor Kuo-Wei Yeh, President of the Taiwan Academy of Pediatric Allergy, Asthma and Rheumatology. The meeting was an excellent opportunity to discuss the current primary immunodeficiencies (PIDs) environment in Taiwan and the great work of Prof Lee, Prof Yeh and their colleagues for PID patients. The intensive work of IPOPI in the region in full collaboration with doctors and regional societies such as SEAPID and APSID over the last 3 years was also discussed. Importantly the meeting was a great opportunity to firm up the organisation of IPOPI’s first National Taiwan PID Patients-Doctors meeting which will be held later in the year. IPOPI looks forward to the continued collaboration with Taiwan and to launch a national member organisation in order to further optimise diagnosis and treatment for PID patients in the country.